Atlantic Canada Metals Inc. - Perfect Security! When it comes to precious metals, security should be on the top of the list. The protection of your wealth with precious metals becomes more and more important in times of ever increasing debt in the world. But where to buy precious metals and more important where and how to store it securely? If you store your precious metals at your own home then keep it as a secret and don't tell anyone. If this information gets to the wrong people it could your security and the security of your family. Large amounts of precious metals should be kept in a high security vault and not at your own home. The fees for this storage should be worth your own security. We store the precious metals of our customers in Canada in a high security vault which is managed and owned by Brink's, one of the best known and largest security companies in the world. Canada is one of the most secure places in the world and we think it is one of the best places in the world to store precious metals. On the other side is Brink's located all over the world and this gives us the possibility to transport precious metals to many other countries. With this possibility we offer a highly flexible service with absolute security. We looked all over the world to find the most secure location for our customers precious metals and concluded that the best place for precious metals is in a Brink's vault in Canada. Perry Brink founded Brink's in 1859. Today Brink's has about 130,000 employees and is located in over 150 countries. The high security trucks of Brink's are well known all over the world. Every high security vault owned by Brink's is guarded 24/7 by armed staff. These vaults look from the outside like ordinary industrial buildings. You have to look a little bit closer to see all the cameras and the small bullet proof windows. The doors are made from heavy steel and the garage doors are reinforced. The property is fenced in with a strong fence with barbwire on top. Every door is under remote control and the security door system allows only one door to be open. The precious metals of our customers are located inside one of these fortresses, inside a special special vault room. Only Brink's employees are allowed to go into this vault room and it must be always two people to enter this room. The precious metals of our customers are stored in this room in sealed industrial boxes. Every one of our customers has his own box with only his own precious metals in it. Every box is sealed with numbered seals. 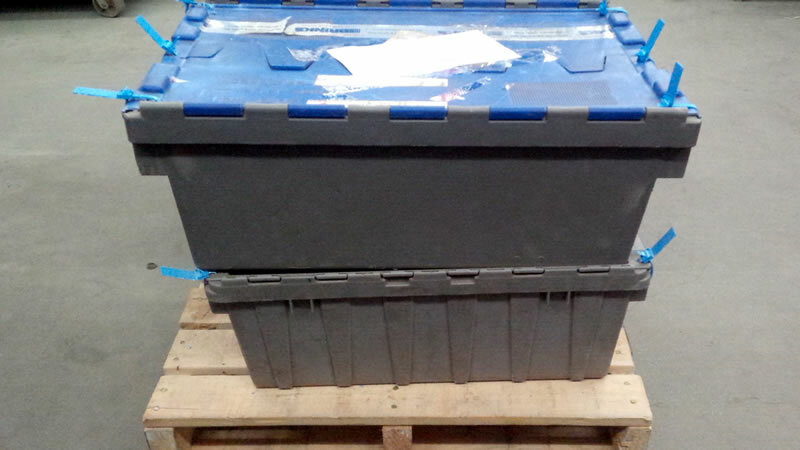 The numbers of the seals are stored in a database and will be checked every time the box is opened. Every move inside this vault room is documented. The picture on the left shows the sealed boxes which are used inside the vault. On the left and the right side you can see the numbered seals. The picture on the right side shows an open box with precious metals in it. To be as highly transparant as possible we decided to hire on of the best and most reputable accounting firms in the world. Once every year this company is going into the vault and is counting the precious metals from all of our customers. The result of this counting will be described in a written report for each customer. Every customer will receive his report every year with a list of all the contents in his account. You probably have heard news in which the owners of a precious metal company or a storage company suddenly disappeared with all the precious metals from all their customers. For this reason you should have two companies, one which is the storage company and the other is the companies who manages the precious metals in the customer accounts. This is why we (ACM) don't store the precious metals ourselves, instead we trust this job to Brink's, one of the most reputable security companies in the world. 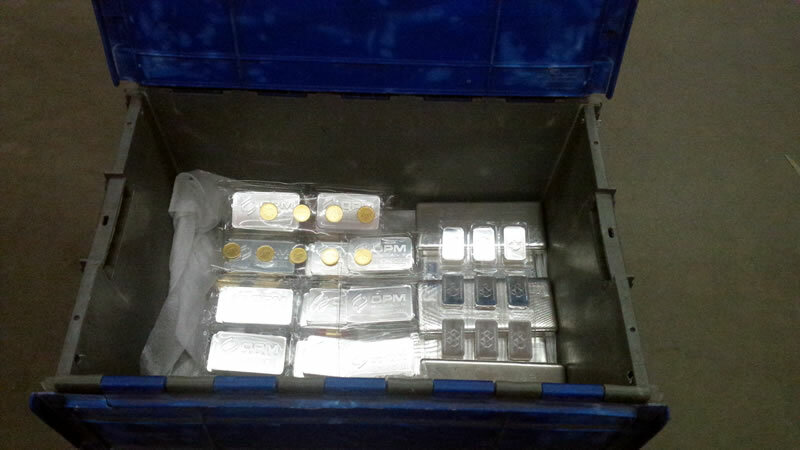 But this is only the first step of protection and is not enough to protect the customer from the management company which is telling the storage what it should do with the precious metals. ACM is the management company for the precious metals of our customers and we decided to protect our customers from ourselves as well. We did this by signing an agreement with Brink's which says that we need the permission of our customers to access their storage accounts. Without the permission of our customers Brink's won't allow us to take precious metals out of our customers storage accounts. If one of our customers asks us to take out a portion or all of his precious metals from his storage account then he must do two things. First he must send us by email his removal or sales order together with a certified copy of his passport or drivers license. Second he must send the same documents to a certain law firm in Canada. Then we will check the documents and inform the high security vault to remove the precious metals from the customers storage account. At the same time the Canadian law firm will check the documents as well and if everything is alright they will send an email to the high security vault to confirm the order. The high security vault will check the signature in the email from the law firm and then will remove the precious metals from the customer account. The vault will only do so if they receive an email from the law office and if the signature in the email is identical with the already deposited signature in the vault. With this system our customer can rest assured that we as the management company have no unautherized access to the precious metals of our customers. 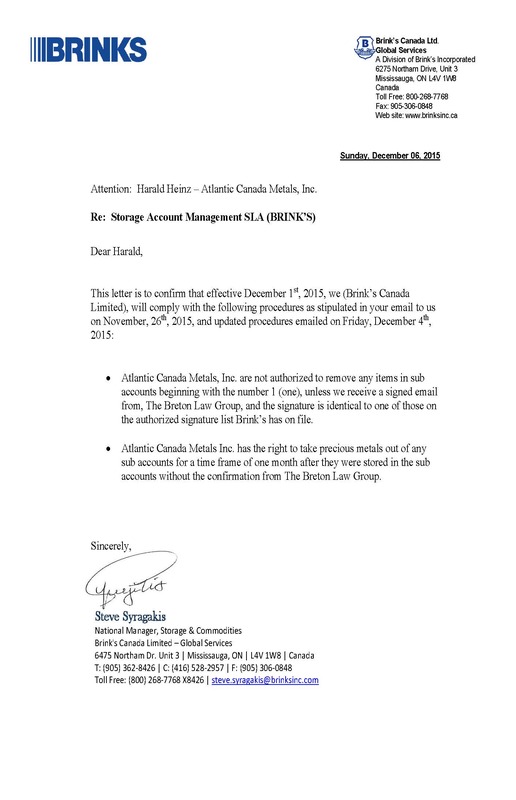 Please see below the letter in which Brink's confirms that we (ACM) have no access to any storage account (sub account) until they receive the email from the law firm. Every one of our customers receives a certificate by regular email every time the amount of his precious metals in his storage accounts changes. 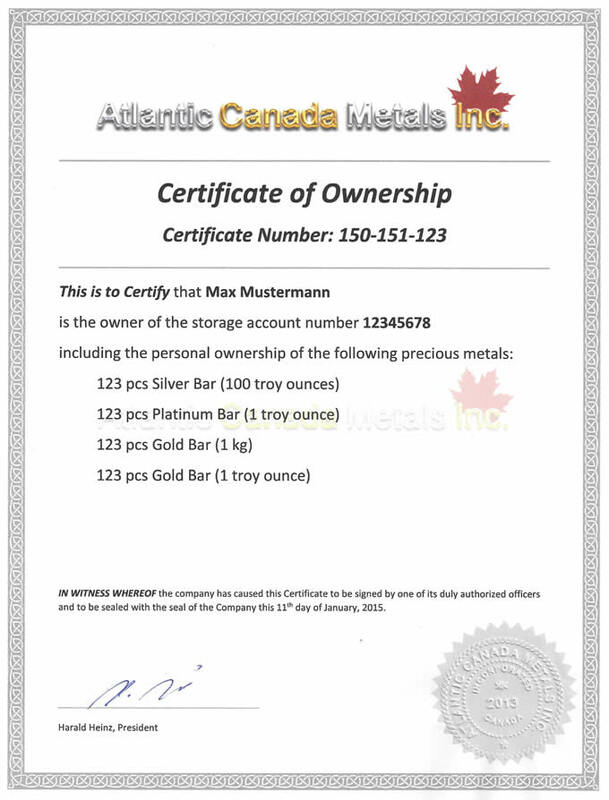 This certificate has the companies seal on it and it confirms the ownership and the amount of the precious metals in the account. Every certificate has its own unique certificate number which is a very important number. If the customer wants to pick up or sell precious metals he needs this number from the last certificate he received. We send this certificate by regular mail only and by doing so we protect our customer in case his email account has been hacked. The hacker has no way to find information about the certificate number. We believe that the precious metals of our customers are special assets which are protected in case of bankcruptcy or insolvency of ACM. To be on the safe side we asked a law firm to look into this and to write us if they agree. Please read below their opinion on this matter.